Online reputation management – we manage your online reviews and ratings on multiple consumer review sites and social networks. Mobile and local optimization – we help you get found on local searches. 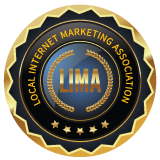 Our services include mobile SEO, Google+ Local page management, and optimizing your business presence ranking on popular social and review sites. Social marketing – we can help you set up and manage your Facebook, Twitter, Google+ and Yelp accounts, as well as develop and post relevant content on a regular basis.